It is difficult now, when cochlear implants are so much a part of the provision for profoundly and severely deaf children, to appreciate that in the 1980s when paediatric implantation was first introduced in the UK, they were so controversial. There were debates about whether they had a place at all in provision for deaf children, whether prelingually deaf children who had never heard language could benefit from them and whether they should be used with deaf children before they were of an age when they could be involved in the decision making. Issues emerged in a number of areas. Firstly there were concerns about the fact that deaf children were not ill in the accepted sense of the word – it was an elective operation and not one that was a response to a medical condition. This was particularly an issue because implantation involved operations on very young children who would need to have an anaesthetic and also because it was perceived to be an operation on a particular part of the brain and there was a possibility of damage to the facial nerve. In fact the operation is to surgically implant a cochlear implant array into the inner ear structure, the cochlea, which in surgical terms is a long way away from the brain. A second area of concern was the lack of knowledge about the benefits of the cochlear implant; would implantation improve language development, what was the extent of the remediation that would be involved and what were the long term consequences of having this foreign body, the implant, in the cochlea? 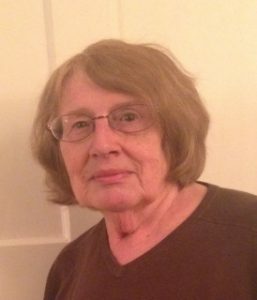 A further concern expressed mostly, but not only, by the Deaf community was the way in which cochlear implants reinforced the idea that deafness was a medical condition – the medicalisation of deafness. 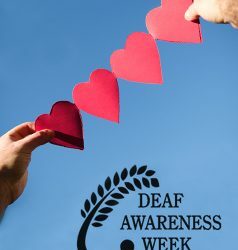 The Deaf community had for some time argued that deafness was part of their identity and that Deaf people formed a linguistic and cultural minority group (Padden, 1980). They asserted that they should be seen as different rather than deficient as they had their own fully developed language, their own history and their own culture. The introduction of cochlear implants endorsed a notion that deafness was an illness, requiring treatment, rather than an aspect of a person. The Deaf community also felt that the introduction of implants placed too much emphasis on spoken language. This could be to the detriment of sign language which was at that time undergoing a revival in deaf education through the introduction of bilingual programmes. The cochlear implant is sensory imperialism (The Voice, 2000). These were circulated at a lecture given by a surgeon, and to onlookers at FDP protest marches. A new ‘bionic’ ear implant that could bring hearing and speech to totally deaf children is being blocked by one of the major charities for the deaf. Hundreds of totally deaf children in the United States, Australia and West Germany are already learning to hear and speak thanks to an operation to implant the device. But in Britain, opposition by the National Deaf Children’s Society could prevent it becoming available on the NHS. In fact, deafened children were implanted in the UK from 1987 when the first child, deafened as the result of an accident, was implanted. This was using a single channel implant. The first use of a multi-channel implant with a deafened child was in 1989. These were both funded by a charity as the NHS did not feel able to support paediatric implantation at that time. Because of the concerns expressed, however, it was not until 1993 that the first operation of a born deaf child in the UK took place. Around this time, in 1988, the British Cochlear Implant Group (BCIG) had been formed, its first meeting being in 1989. One of its initial functions was to attempt to persuade the UK Department of Health to fund cochlear implantation in the UK. In spring of 1990 the Department of Health invited bids from existing and potential service providers to bid for a three year centrally funded programme for cochlear implants for adults and children. The Medical Research Council’s Institute of Hearing Research was commissioned to evaluate the services. An important milestone was the decision by the NHS to fund cochlear implantation and six implant centres were set up, one of which specialised in paediatric implantation. Attitudes were gradually changing. In 1992 a policy statement from the NDCS accepted the possibility of cochlear implants for some children. 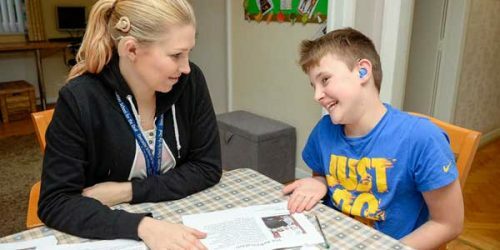 The National Deaf Children’s Society recognises that cochlear implants are one technique for developing awareness of sound in certain deaf people. The Society recognises that some parents of deaf children may wish to consider cochlear implants as an option for their child and supports their rights to do so. The British Deaf Association (1995) maintained its opposition to implants for deaf children. The BDA supports the rights of parents (having received all relevant information beforehand) to act in the best interest of their children, and will continue to regard children and adults who use cochlear implants as members of the Deaf Community. Since then paediatric implantation has grown and developed from the early beginnings in the early 1990s. In 2010 in the UK there were 27 cochlear implant centres and around 500 children had been implanted that year (BCIG figure). Of the 32,654 deaf school children in England, 2184 had implants, 7% of the total (CRIDE data) . Most of the major deaf organisations support cochlear implants as one of the choices available for families with a deaf child with a profound or severe loss. The change has come about because of the perceived effectiveness of cochlear implants for the majority of profoundly deaf children, the reduction of fears about the operation itself, and changes in the discourse around deafness and sign language. The first three outcomes listed are based on robust findings reported in many research studies, with many different groups and in many different countries. The second three, although generally agreed, are more open to discussion. 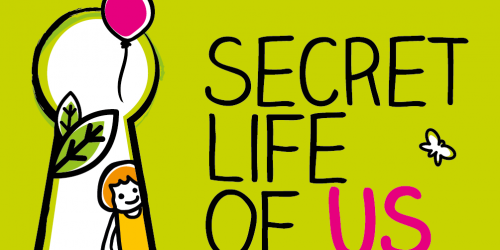 Benefits have not occurred to the same extent for all children, and furthermore questions have been raised about some of the research evidence and its interpretation (Thoutenhoofd et al, (2005), Spencer and Marschark, (2003)). During the time for which implants have been available there have been significant improvements in the devices themselves, in surgery and in audiology and tuning which are usefully summarised by Archbold (2010). The developments in both internal and external technology provide increased reliability, improved access to the speech signal, and increased appropriateness for use with young children. Improvements in surgical techniques have led to improvements in the ability to implant while preserving residual hearing, and to implant young infants safely, while developments in audiological and tuning techniques have improved the ability of scientists to ensure the implant system provides the individual child with access to sound most appropriate for their needs. One consequence of such improvements in implants themselves and the procedures around implantation have made some studies more difficult to interpret. Much research that sets out to demonstrate the efficacy of cochlear implants uses long-term studies taking place over a period of time to show improvement in performance but some of the improvements described may well be underestimates. If, for example, a study followed children over a period of seven years, any improvement they show may be outdated even as it is reported as the newer implant technology may well mean that a group of children implanted later may show even greater improvement. Cochlear implantation has involved a strong links between medicine and education. This has had implications in a number of areas; the medicalisation of deafness raised by the Deaf community and discussed earlier, early concerns about the operation itself and implications for education professionals working more closely with medical personnel. In fact, medical concerns have diminished because of the safety record of the operation and follow up period, and the time that has to be spent in hospital is now much shorter than when implants were first introduced. The introduction of newborn screening for deafness throughout the UK in March 2006 raised questions about how early babies should be implanted. At the time, most implant operations took place after the age of two years. However, results of research studies were indicating that the earlier a child was implanted the better the outcome which led some to advocate that the age of implantation should be earlier, even before the age of two years. However, others had concerns on both medical and social grounds. Could families cope, not only with finding out their child was deaf at a very young age, but having to make the decision for their young baby to have an operation? Was early assessment of hearing loss adequate to confidently ascertain the degree of deafness? What about children with complex needs, would these be fully recognised and understood? However, as time has gone by these issues have been resolved and early implantation has become acceptable with positive results. 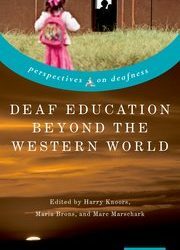 In an area such as this where medical advances are frequent and these developments mean the situation is constantly evolving, where the educational situation of deaf pupils is changing, and where there is much controversy, it is difficult to provide a straightforward or definitive history. It may well be that this will be easier in the future.